C.O. 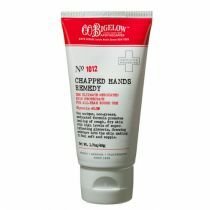 Bigelow Chapped Hands Cleanser is a unique super-emollient cleansing formula for dry hands. Smooth a generous layer on hands making sure to include cuticles for optimal skin-softening results. 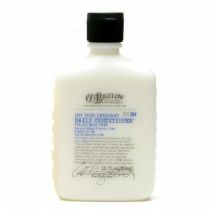 This highly moisturizing cleanser will liquify on contact with the skin, helping hands feel soft, smooth and protected. You're in good hands with our richly textured emollient cleanser. We've combined ultra skin-conditioning Aloe and moisturizing Jojoba Oil to thoroughly cleanse rough, dry hands without harsh detergents. 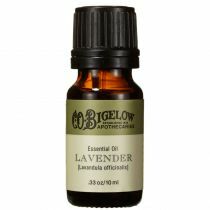 Contains active levels of therapeutic apothecary ingredients. Fragrance-free, no artificial colorants. Not tested on animals. C.O. Bigelow Chapped Hands Cleanser cleanses dry hands without the use of harsh chemicals while nourishing hands with skin-conditioning Aloe Vera and Jojoba Oils. This formula is not just only great for dry hands, but works wonders in the garden shed, the art studio, the work-bench or for other hobbies that typically take a toll on your over-worked hands. EVERY ARTIST SHOULD HAVE THIS! This product has changed my life as an artist! I work in oils and hated all the harsh cleansers I would get from the art supply stores. This mixes with the oil paint and a little goes a long way to cleanse my hands of all the paint without any of the drying and flaky skin I suffered from before with the other cleansers....cleansers that are actually marketed to artists. I found this product at the Bigelow Store and figured I would give it a try. It was instant love! Now I recommend it to all my artist friends. It smells so nice too that I now look forward to the last step of clean up...cleansing my hands. A good way to end a productive (or sometimes not so productive) day! Restore your hands! Great for guys! This stuff is like the orange cleaner that they use in auto shops. My brother in law's hands were so bad he had dirt permanently embedded in the callouses on his fingers. This stuff removed the dirt and softened his hands beautifully. No flowery fragrance either. Can't live without this stuff! I own & operate an urban gardening business in New. York, and my line of work can cause my hands to become a dry, rough, chapped wreck. 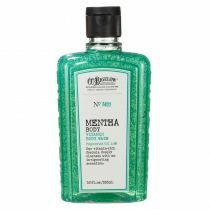 I keep this product at the bathroom & kitchen sink, & use it daily, for soft, happy, healthy hands! No additional moisturizing needed, even in winter! A little goes a VERY long way, so it lasts a long time. I recommend it for everyone, not just those with jobs that can be harsh to the skin. If they every discontinue this product, I'll be lost! I have had dry cracked hands for 60 years until I started washing my hands with the no soap hand cleanser. I hope this product is always available because I don't know what I would do without it. I tried everything on the market. i.e. soaps and moisturizers and this is the only thing that helped me. I use this soap-free cleanser after a shower too! As a hand soap, I use it every winter, all winter, when my hands tend to get chapped frequently. 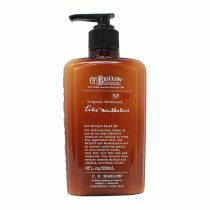 This soap-free cleanser is a mixture of aloe vera, jojoba oil, so I use it as an after shower moisturizer and let it soak into my skin. This 6.5 oz jar lasts a long time because you don't need much and it just melts onto your skin. 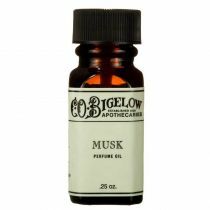 Also it doesn't have a fragrance so you can use colognes and there won't be any fragrance conflict. This is a C.O. 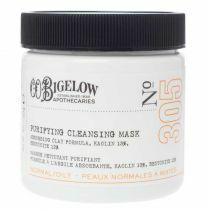 Bigelow product that I buy regularly and always have a jar around. This stuff is amazing. 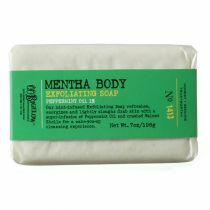 It cleans my hands and moisturizes them at the same time, better then any other moisturizing soap out there. If I don't rub my hands when rinsing them, the water just beads up on my hands. It lasts a long time too. It does not, however last as long as the price suggests. It works terrific, but does cost a lot. If you can get it for under $12 then you better by a bunch! I first discovered this cleanser years ago at Bath & Body Works. It is the only cleanser I have ever found that is truly moisturizing. I keep a jar by every sink in my house. It is so unique and I'm thankful i found it. I have badly chapped hands that crack. I use this product and it controls the dryness and cracking. It, combined with the chapped hands remedy is the only thing that has really worked for me. I love that I can use this product during the day and then apply for night time use and still have no greasy feelings on my hands! This is the hand product I've been looking for all of my 57 years! Thank you! I use this product in shower after I bathe, I use it on the dry areas of my skin, especially on my feet where I have cracked toes and heels. Rub it on and rinse it off. It keeps my feet soft while healing my cracks. I most always keep extra on hand. I use it year round. 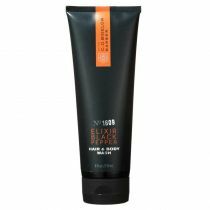 I love this product and have not found anything that compares. Hydrogenated Polyisobutene, Petrolatum, Glycine Soja (Soybean) Oil, Paraffin, Ceresin , Oleth-20, Jojoba Esters, Oleth-10, Simmondsia Chinensis (Jojoba)Seed Oil, Tocpherol (Vitamin E), Aloe Barbadensis Leaf Extract, Rosmarinus Officinalis (Rosemary) Leaf Extract, Metha Piperita (Peppermint) Leaf Extract, Bisabolol, Isopropyl-paraben, Isobutylparaben, Butylparaben.